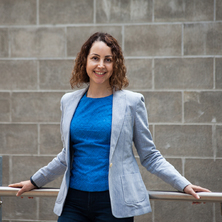 Dr Mahshid Firouzi is an Advance Queensland Research Fellow in the School of Chemical Engineering at the University of Queensland. Mahshid holds a BE and ME from Iran University of Science and Technology and a PhD in Chemical Engineering from the University of Queensland. Mahshid’s research interests focus on the experimental study and mathematical modelling of gas-liquid-solid interfaces, thin liquid films, foams and multiphase flows. Mahshid has a strong interest in practical research collaborating with industry across a broad range of areas with the focus on energy. Firouzi, Mahshid (2018, December 01). Combining maths and bubbles to boost gas production. Queensland Government Mining Journal, p.1-1. Firouzi, Mahshid (2018, September 27). Combining maths and bubbles to boost gas production. The Australian Energy Review, p.1-1. Firouzi, M. and Hashemabadi, S . H (2009). Non uniform sedimentation effects on fluid flow through the pipes. In: 6th International Congress on Chemical Engineering, Kish Island, Iran, (). 17-19 November 2009. Firouzi, M. and Hashemabadi, S . H (2008). Analytical solution for influence of yield stress on two phase stratified flow through the pipe. In: 5th International Chemical Engineering Congress (IChEC 2008), Kish Island, Iran, (). 2-5 January 2008. Firouzi, M. and Hashemabadi, S . H (2008). Analytical solution for rheological properties effects on two-phase stratified flow through the pipes. In: Siavash Sohrab, Haris Catrakis and Ioannis Sakellaris, Proceedings of the 3rd IASME / WSEAS International Conference on CONTINUUM MECHANICS (CM'08). 3rd IASME / WSEAS International Conference on CONTINUUM MECHANICS (CM'08), Cambridge, United Kingdom, (56-63). 23-25 February 2008. Firouzi, Mahshid, Rudolph, Victor and Greenway, Brent (2018). Method for dewatering and operating coal seam gas wells. International (PCT) Patent Application No. PCT/AU2017/051355.